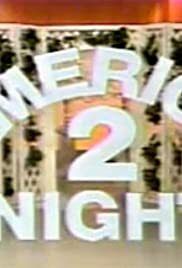 After "Mary Hartman, Mary Hartman", we got "Fernwood 2Nite" - a talk show set in Fernwood, then "Forever Fernwood" and finally "America 2Nite". Barth Gimble (Martin Mull) has moved from Fernwood to Hollywood and is now doing a "national" talk show - but he's not lost Jerry Hubbard (Fred Willard) or Happy Kyne and the Mirthmakers. 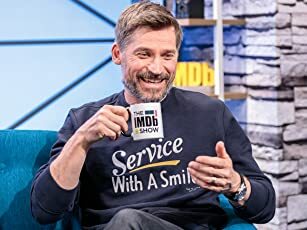 Nor has he managed to escape his past or his guests or the incredible tackiness that permeates everything on his TV shows. And, while I sometimes might want to escape - I'm usually stuck, laughing and waiting for the next oddity to come along. But, like most good comedy, the humor is based on human foibles. It is best experienced as it was produced - as a series tv show, that gives the oddities of Barth and Jerry time to simmer in your brain a bit so that the next time you see them you're ready (or not) for whats going to happen. Sadly, it seems to have disappeared completely - I just saw a couple of episodes that ended up on the end of video tapes of something else, and was reminded of how good it was and of how well Martin Mull and Fred Willard worked together. They really fit well in the roles and made their characters more than the caricatures they could have been. Watch these and the next time late night tv has you yawning you can imaging Barth and Jerry instead and it will bring a grin (just like Happy Kyne's).